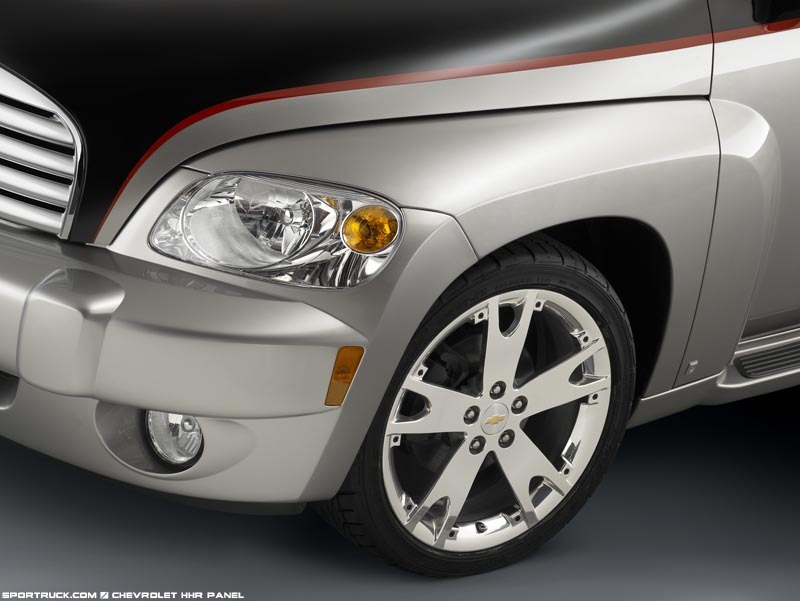 The retro-styled HHR is an economical modern hot rod with a natural inclination toward customization. 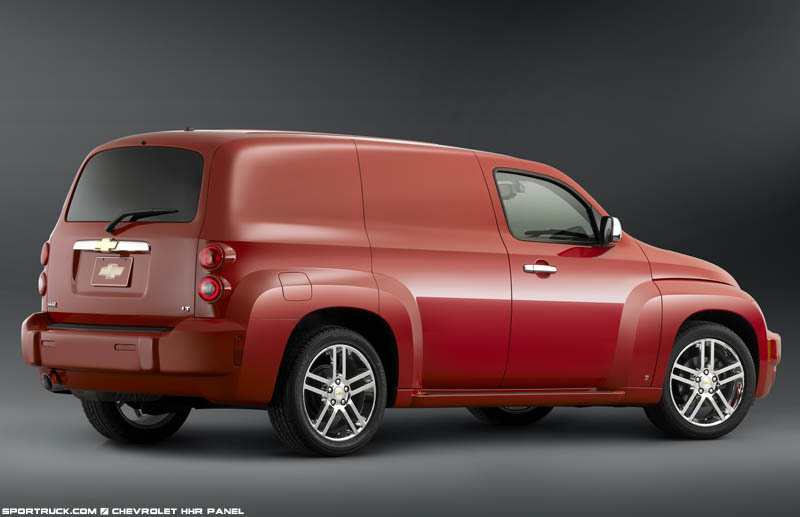 In the year since its introduction there have been numerous custom examples to show how well the HHR could work in panel truck form. 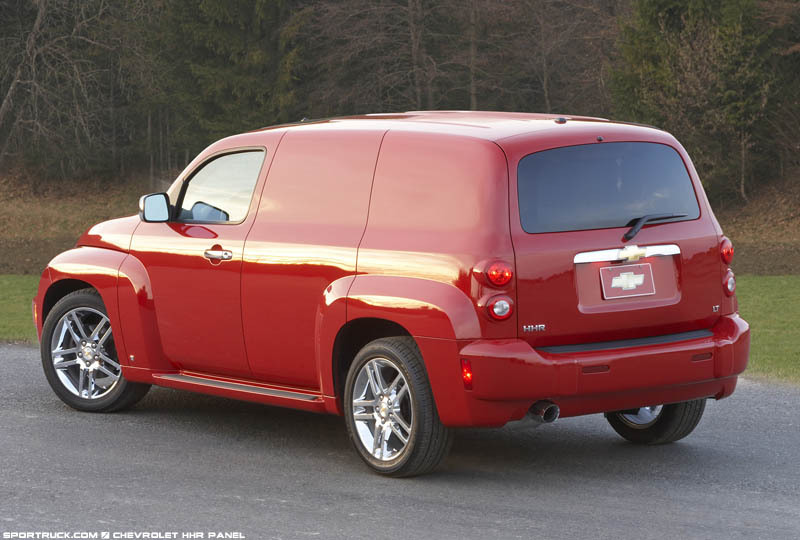 The HHR was designed with heavy influence from the 1949 Chevy Suburban, which was essentially a panel truck with windows in the sides. 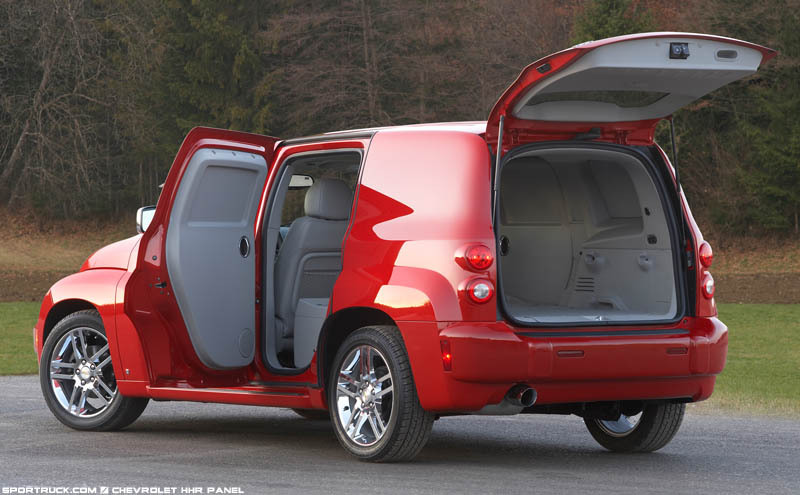 By filling the rear windows, and sometimes even completely welding the rear doors shut, the HHR turns into a panel wagon. 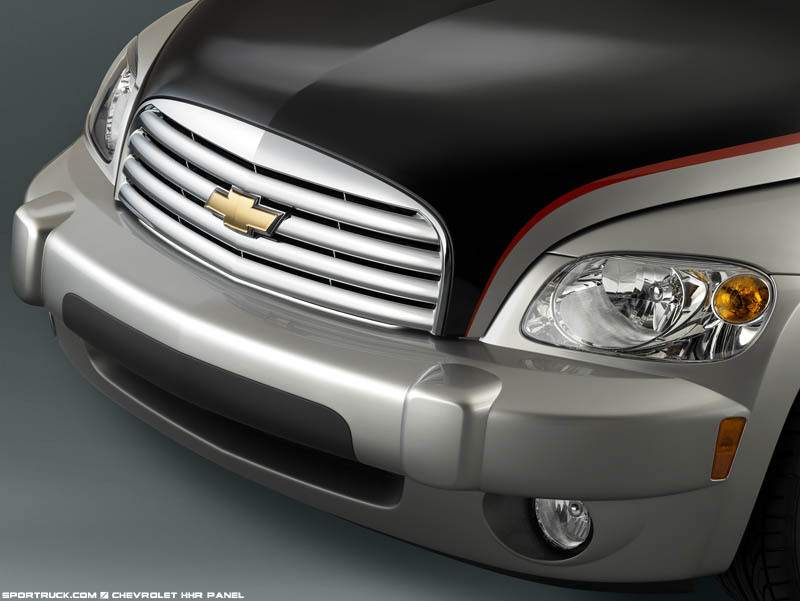 Until now such a conversion was an expensive one-off endeavor. 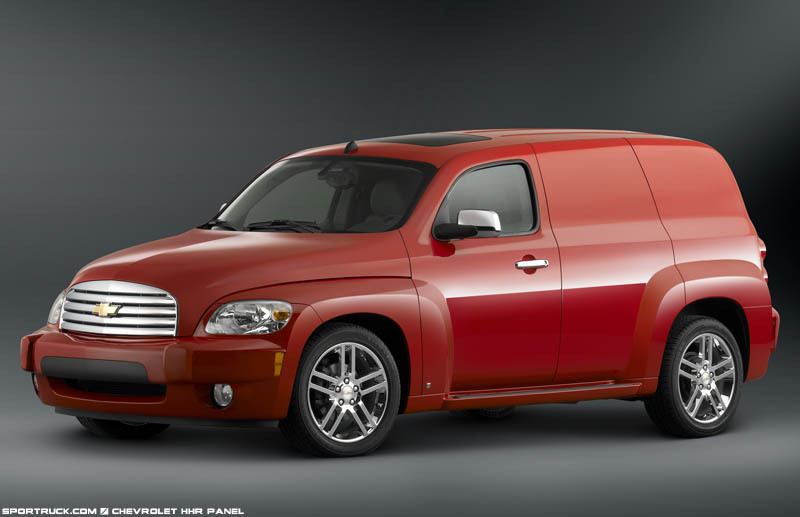 The idea is not new, for many years the PT cruiser has been modified to look like a panel wagon, and the aftermarket has even created conversion kits to ease the process. 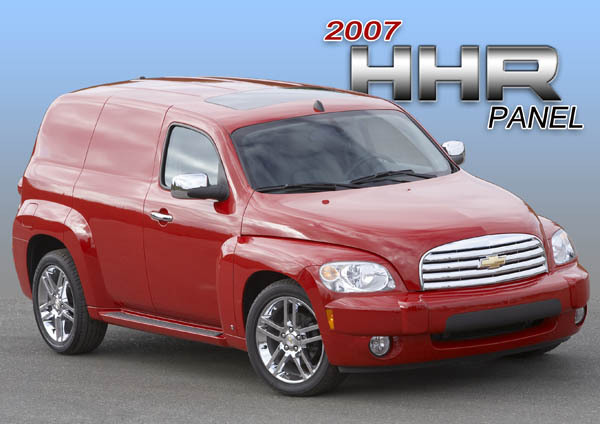 But now GM has taken the HHR one step farther than Chrysler did with the PT, giving the green light to a factory panel version of the HHR, scheduled to hit showrooms in 2007. 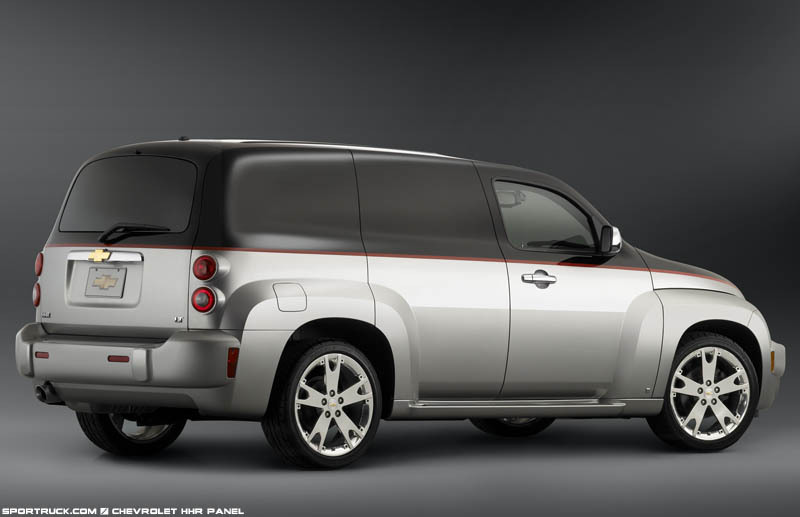 On the outside, the 2007 HHR Panel is much like a normal HHR, except for the window-less rear doors and rear side panels. 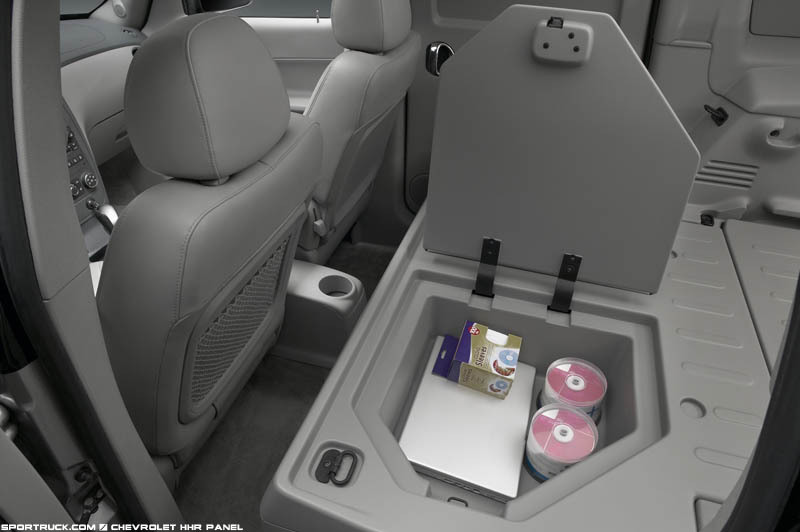 The floor inside is flat, with storage bins in place of the rear seats. 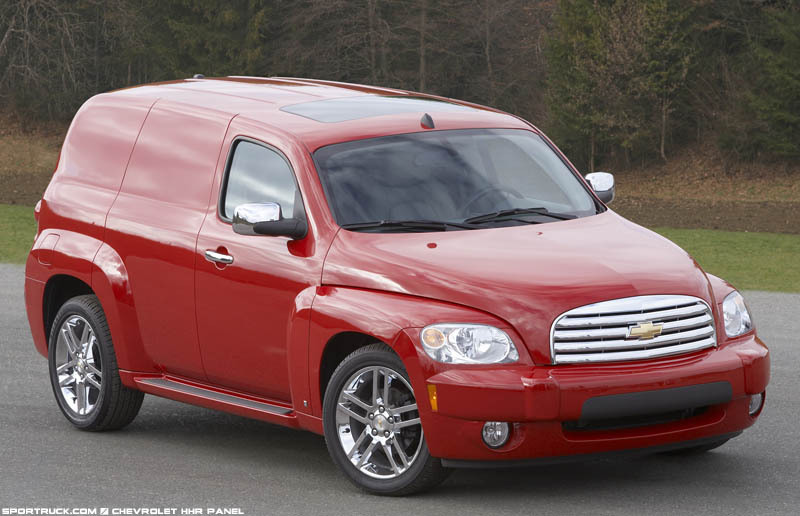 The result is more than 57 cubic feet of cargo space, along with 6 cubic feet of under-floor storage. 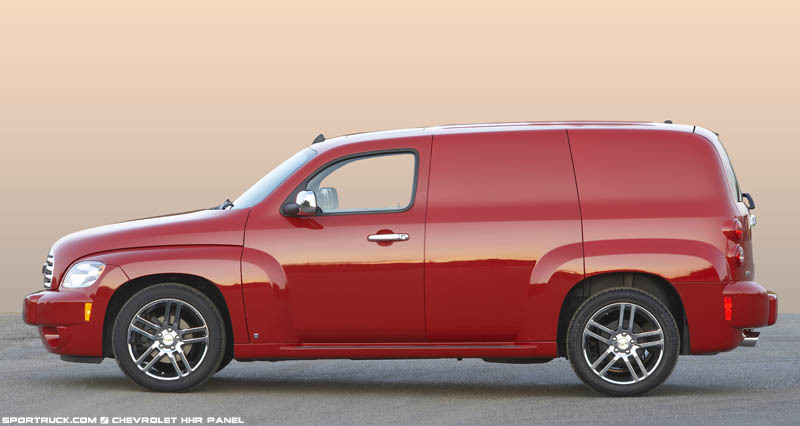 With all that space the HHR Panel is well suited to small business use as a high-mileage delivery vehicle, as well as a starting point for auto enthusiasts looking for extra customization options. 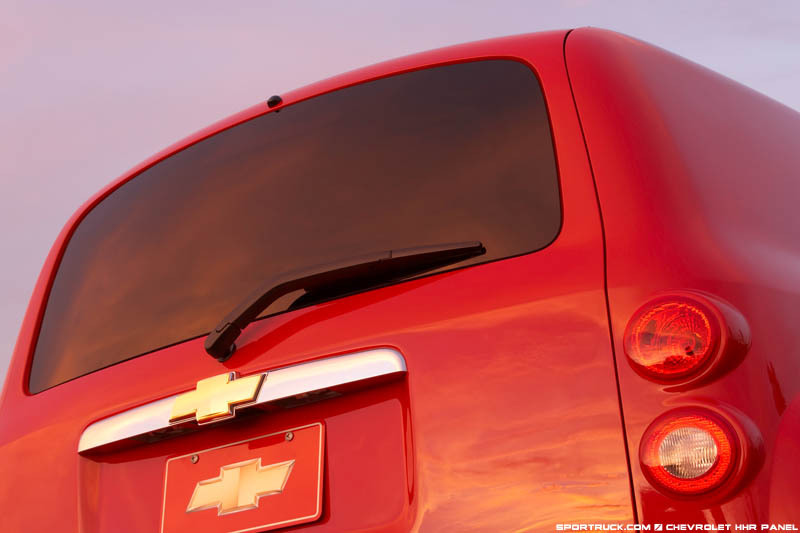 By removing the rear windows a continuous expanse of sheet metal has been created created that would be suitable for a company logo, advertising, or custom graphics. 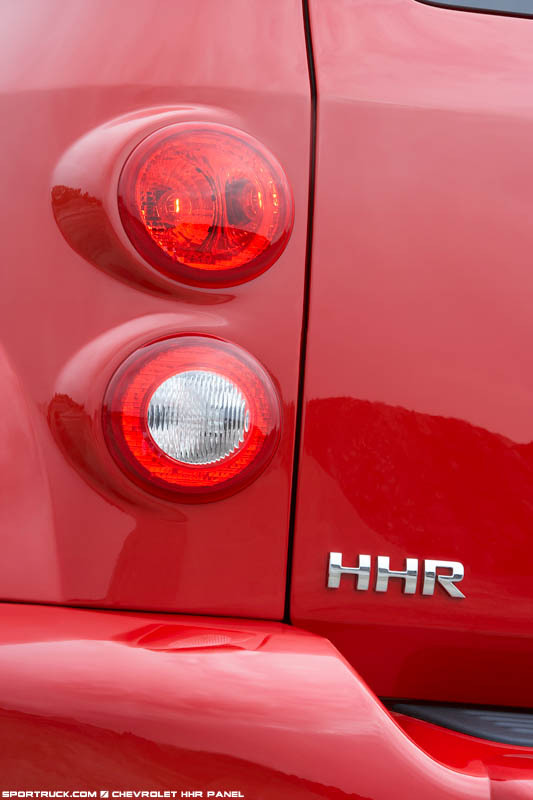 The rear side doors on the HHR Panel lack external handles; they have to be released from the inside by using handles or from a dashboard release button. To aid in utility, an auxiliary power outlet has been placed in the rear the cargo area, giving a healthy 40-amps to power electronic equipment. 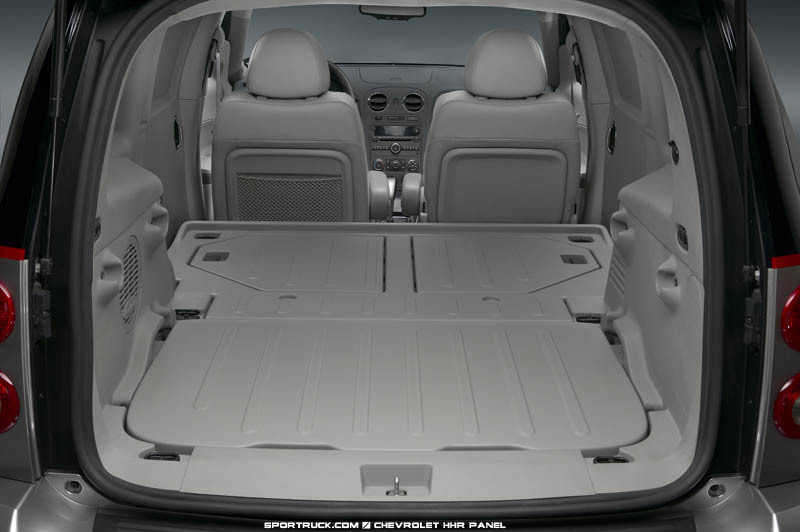 Due to a lack of rear seats, the HHR Panel can only accommodate two passengers, but the flat cargo floor has tie-down points throughout the floor to hold down a multitude of cargo. 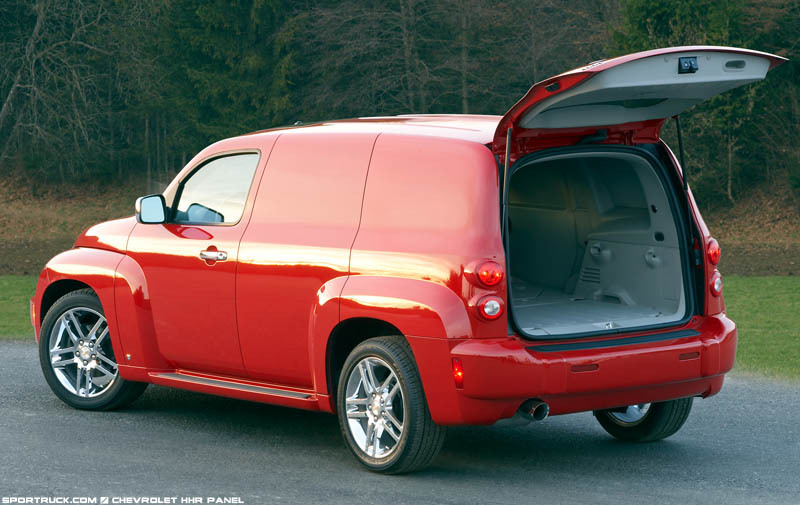 Inside the side cargo doors you will find two large storage compartments under the flat cargo floor. 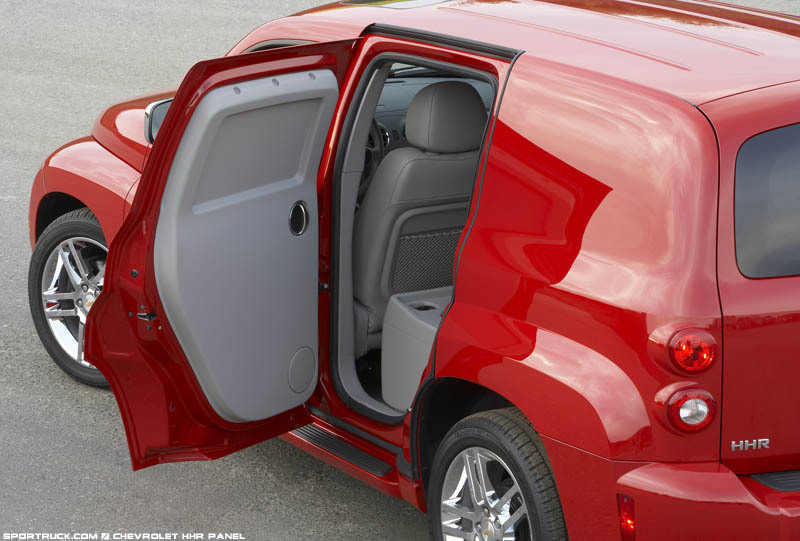 When equipped with With optional locks, these compartments provide secure out-of-sight storage. 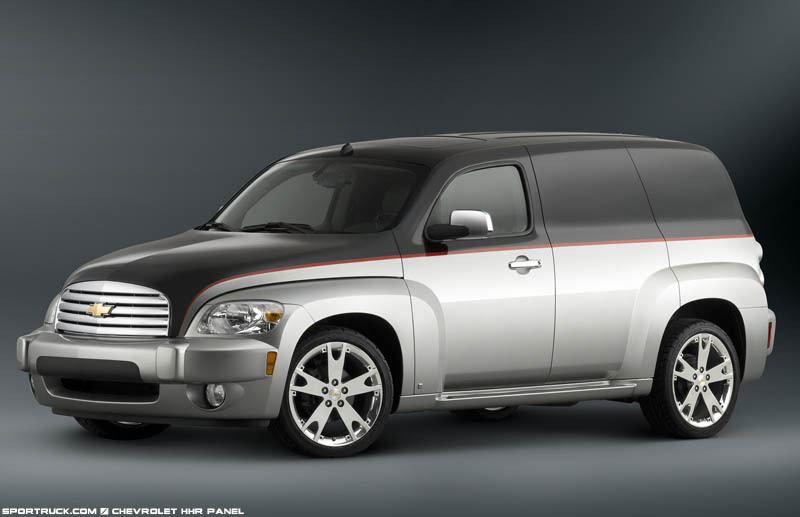 HHR Panel will be available in both LS and LT trim. 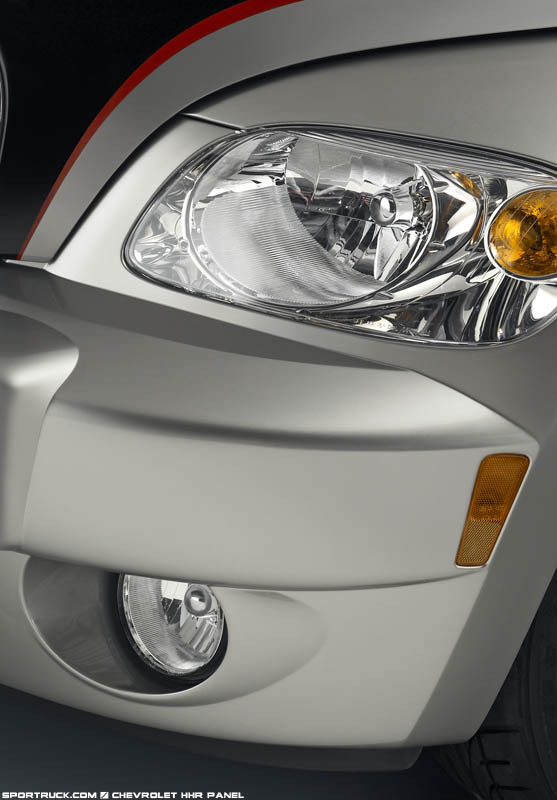 Both trim levels offer the standard 2.2L engine rated at 149 horsepower, and the LT model provides the optional 2.4L engine rated at 175 horsepower. 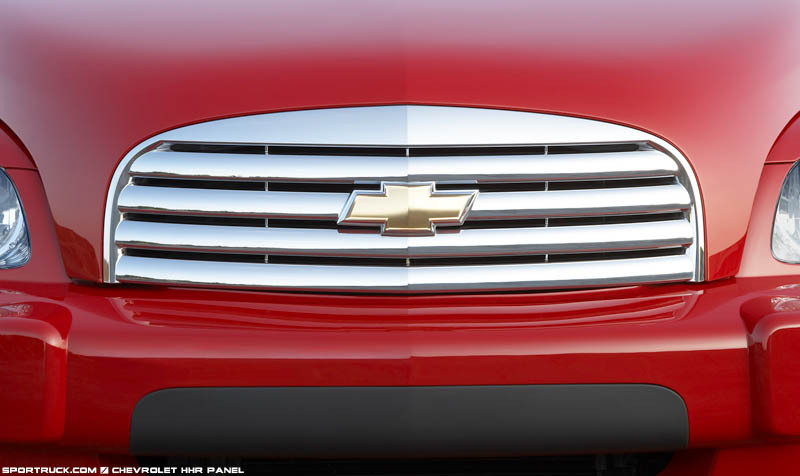 Both engines offer up to 30 mpg on the highway. 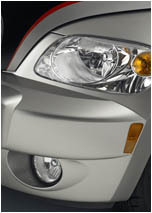 Other features include power front seats, various radios with MP3 capability, XM Satellite Radio and OnStar. 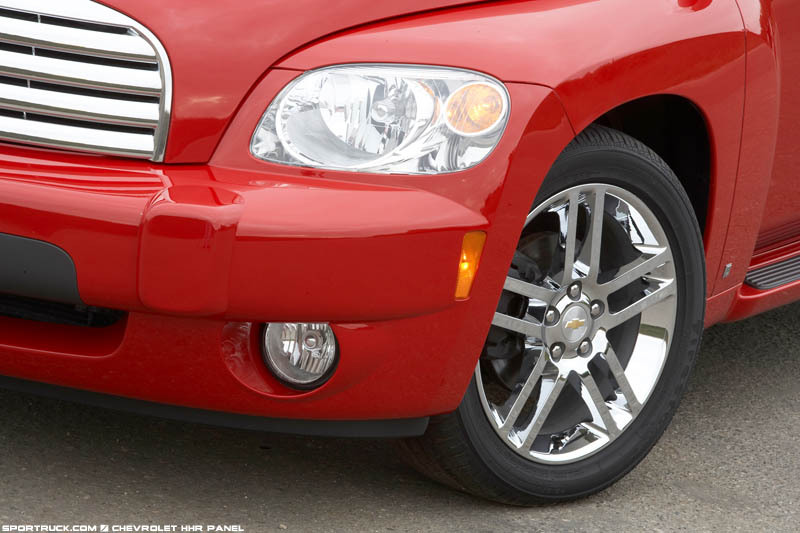 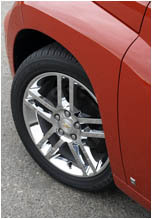 LT models also have available 17-inch wheels and leather seating. 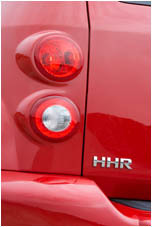 HHR Panel production is scheduled to begin late in the first Quarter of 2007.